Toys are always the most loyal partner of children. Toys can not only cultivate children’s intelligence, but also develop their social skills. And help children to gain self-confidence, and know many good friends. This plays a key role in shaping the child’s personality. In general, young boys like mechanical toys, such as trucks and excavators.While girls usually like dolls and various doll toys. But there are two toys that suitable for boys and girls,and they can learn a lot from them. Let’s take a look what they are. 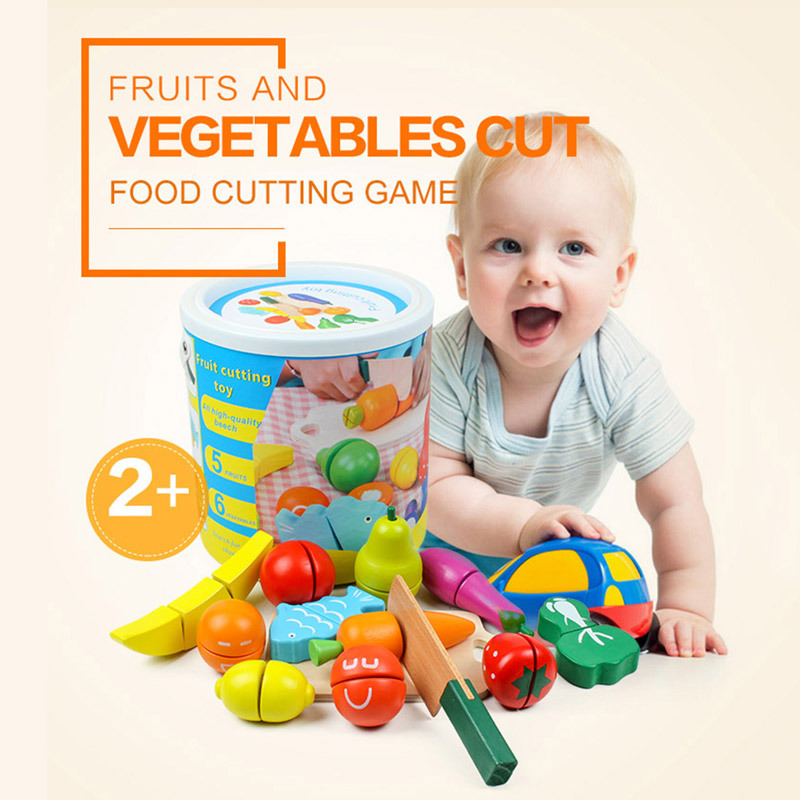 This realistic vegetable and fruit cutting game is designed for preschool children. It allows children to learn knowledge in the most interesting and creative way. 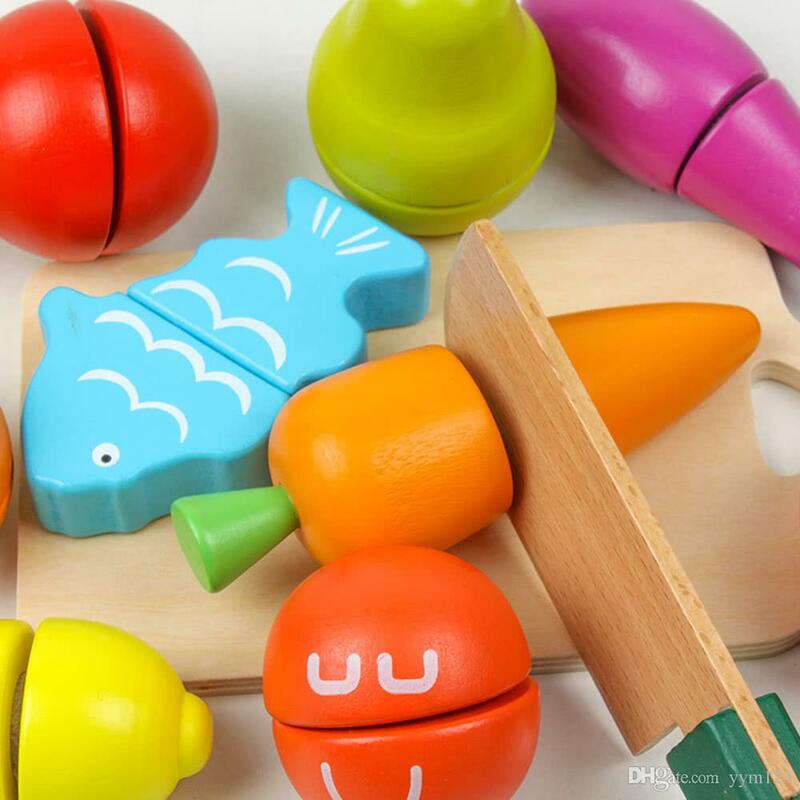 Young children are interested in colorful toys, and they have a strong curiosity.So this toy is suitable for them, it has a variety of bright fruit and vegetable shapes. The entire toy set also contains wooden knives, buckets, chopping boards and other items that cut fruit. But these vegetable toys are made of safe, washable and pressure-resistant wood materials that do not harm the health of children. This toy not only helps children identify various fruits and vegetables, recognizes colors, but also their cognitive learning ability.In addition, it can help young children accumulate vocabulary. Children generally like to play shopping and pretend to play slicing and cooking games. This toy uses the tools and elements used in everyday life to instill the rules of the game that can be implemented in later life in preschool children. The ability to cut and stick fruits and vegetables together can bring endless fun and help children build motor skills and hand-eye coordination. High quality fruits and vegetables are durable and fun, while promoting a healthy diet. This is an imaginative game that will become a major item in your kids’ toy collection. 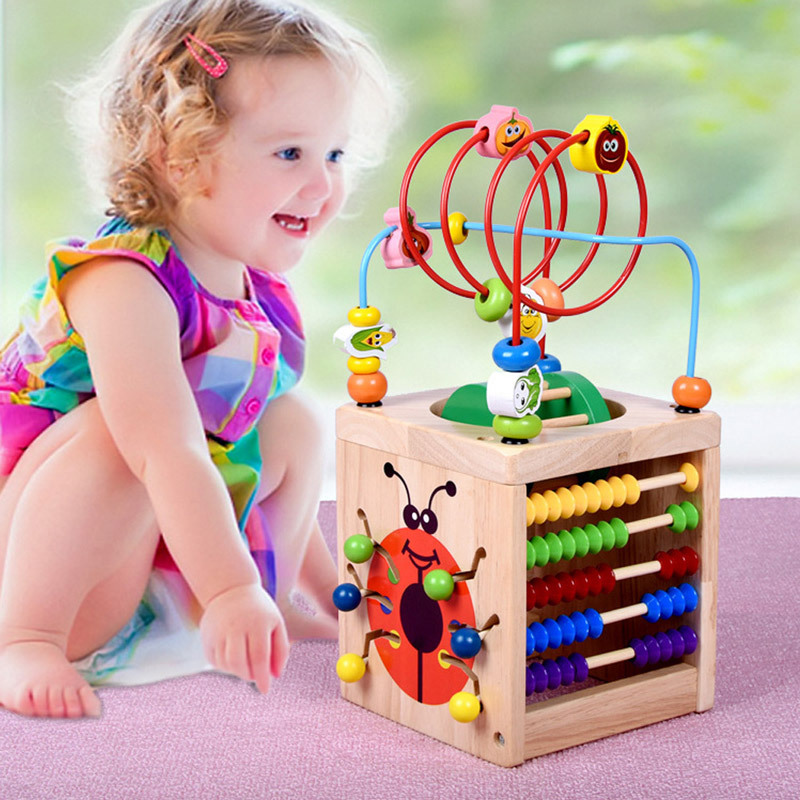 This colorful wooden cube toy has 6 games to keep your kids busy for hours! This baby activity cube allows children to enjoy the game of the beading maze. Learn time, clock, count letters and animals while playing the game. This is good for cultivating their verbal ability to express their language skills. Because it is made of natural hardwood and coated with a non-toxic water-based paint, it is safe for infants and young children. Moreover, all the parts are connected to the box, so you don’t have to worry about your child swallowing small pieces. 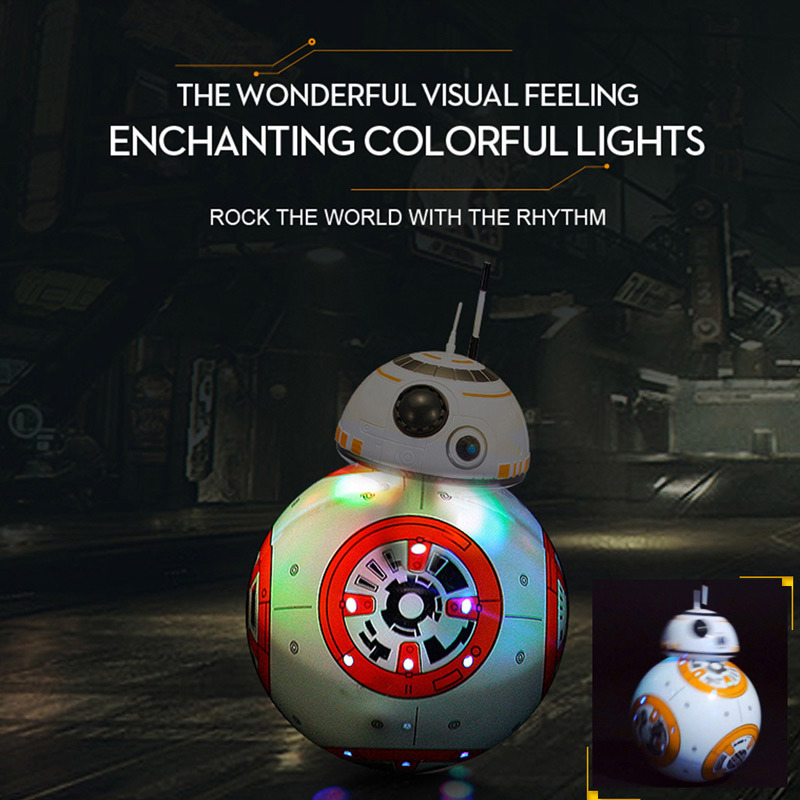 Most importantly, exciting colors and gadgets can boost sensory stimulation and brain development in children. The bead maze encourages stretching and the slider promotes gripping skills, making it an excellent complement to any toddler’s toy box. It is ideal for families, schools, waiting rooms and any child-friendly play area. 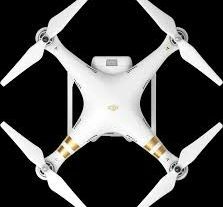 Do you like RC quadcopter? Informasi tentang cara pasang taruhan bisa anda dapatkan di http://www.jesus-101.org/cara-pasang-taruhan-bola-di-bandar-bola-terpercaya-kasirjudi/ beserta dengan info-info menarik lainnya. Agen kami kasirjudi juga menyediakan berbagai jenis pasaran yang bisa bebas anda pilih dan anda mainkan. Mulai dari parlay, over under, handicap dan lain sebagainya tersedia di agen kami. Customer service kami siap melayani anda 24 jam, jadi jangan sungkan-sungkan untuk mengirimkan pesan kapanpun dan dimanapun anda berada.